Researchers find online therapy improves insomnia and quality of life. The effects of insomnia stretch from nighttime into day. A sleepless night makes it difficult to function the next day, but when insomnia becomes chronic, it not only affects the quality of your day-to-day life, but also increases your risk of developing or exacerbating mental health issues, heart disease, and type 2 diabetes. 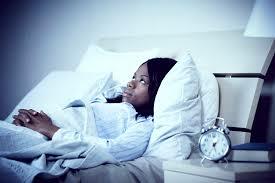 In spite of these potential health issues, it can be difficult for many people to get treatment for insomnia. But help is on the horizon. A study performed at Northwestern University’s Feinberg School of Medicine in Chicago, in collaboration with University of Oxford, London, University of Sydney, Australia and other clinical and academic facilities, found that online cognitive behavioral therapy (CBT) provides significant benefits that not only help improve symptoms of insomnia, such as fatigue and sleep-related productivity issues, but also symptoms of anxiety, depression, cognitive failure, and overall well-being. CBT, which is designed to help improve self-defeating thinking and behavior patterns, has long been recommended as an effective, first-line treatment for sleep disorders. Sleep quality is improved through relaxation techniques, management of issues like worrying, intrusive and racing thoughts, sleep hygiene education, and other therapeutic interventions. In many studies, classic CBT has clearly been shown to reduce both nighttime symptoms of insomnia and resulting daytime problems. The Northwestern study, published in a September 2018 issue of the Journal of the American Medical Association, was set up to find out if digital CBT for insomnia is also effective for improving sleep-related quality of life issues and overall mental and physical well-being as a result of reducing symptoms of insomnia. The researchers followed 1,711 adults with a median age of 48 years old, who reported symptoms of insomnia and were screened based on DSM-5 criteria for insomnia disorder. At all follow-up appointments, a majority of participants reported significant improvements in physical health, mental health and sleep-related quality of life. The researchers determined that these changes were brought about by significant reductions in symptoms of insomnia. In spite of the overall success of the digital CBT program, some participants reported adverse effects such as sleepiness, fatigue, cognitive failure, and mood disturbances, thought to be due to a component of the program that involved sleep restriction at week three. However, these were short-term issues that improved over the course of the study. Overall, data collected from this study corresponded with the results of a similar British study published in an October 2017 issue of Lancet Psychiatry, confirming that improving symptoms of insomnia via digital CBT interventions can help improve symptoms of depression, anxiety, sleepiness, fatigue, cognitive failure and loss of productivity. The program used in this study, Sleepio, was developed by a digital medicine company known as Big Health, and cannot yet be directly accessed by the public, though it is being made available through employer benefit programs. Mental health care professionals may be able to recommend online CBT programs currently available to consumers either for self-help purposes or as an adjunct intervention to traditional CBT.